So you failed today. Maybe you lost your temper. Maybe you blew your diet. Maybe you procrastinated for a while and left your to-do list virtually unchanged. To get back up, you’ve got to forgive yourself. But make sure you do that in the right way. Give yourself grace – not tolerance. Grace says you’ve failed, and that’s horrible. But you’re forgiven. Tolerance says you’ve failed, and it’s no big deal. So you don’t really need forgiveness. Grace makes you love God’s character. Tolerance makes you question his standards. Grace empowers you to fight the good fight again tomorrow. Tolerance ultimately weakens your willpower. Grace was purchased on the cross, making the burden of sin seem great. Tolerance is acquired when you deceive yourself on the severity of your sin. Grace recruits God to your cause by keeping you humble. Tolerance keeps you prideful and aligns God against you. Grace helps you get over the earthly consequences of wasted time. Grace reminds you that God sees the righteousness of Christ when he looks at you, giving you approval and significance. Tolerance keeps you locked in to earning approval by staying on the world’s treadmill. We definitely need to learn how to get up and keep going. 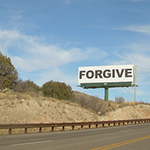 We as Christians should be able to forgive ourselves better than anyone else! But don’t give yourself tolerance. That’s a dangerous trap. Make sure that forgiving yourself comes in the form of true grace.